Diabetes is characterized by high blood glucose either because the body does not produce enough insulin or where the body cells do not respond to insulin or both. Diabetes causes certain types of cancer, heart attacks, heart diseases, kidney diseases, eye problems and strokes among others. Taking high amounts of salt causes retention of fluids in the body, causing the heart to exert more pressure in the arteries as the blood is thicker and this may destroy the arteries and lead to high blood pressure and destroy the kidneys. 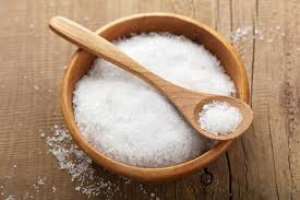 This brief article familiarizes the reader just what salt is, it’s connection to diabetes and how it can be controlled. Sodium chloride also known as salt is composed of 40% sodium and 60% chloride. Sodium is an essential mineral and nutrient in the body. The high consumption of processed foods with high levels of sodium combined with under-consumption of grains and vegetables which are rich in potassium, zinc and magnesium leads to a rise in the ratio of sodium-to-potassium. Foods high in potassium trigger cells to pump sodium out and potassium in through the sodium-potassium pump thus preventing the cells from swelling. Where sodium is not pumped out there will be cellular swelling because water will accumulate in the cells. • Going for a low-salt diet does not reduce the blood pressure of people with Type 2 diabetes. This is because the salt is not the major problem but lack of eating foods with high levels of potassium like fruits and vegetables is the major cause. • Type 2 diabetes causes your cardiovascular system to be sensitive to the effects of sodium increasing your risk of hypertension. • Sodium combined with potassium from vegetables and grains reduces fluid retention caused by salt. • Excess salt creates a fluid retention, which makes the blood thicker causing the heart to exert more pressure to the arteries and this causes heart disease. • Most people consume approximately 8,500 milligrams of salt. Healthy people should take only 2,300 milligrams of salt per day. While those with Type 2 diabetes should take less than 1,500 milligrams of salt per day. • Processed foods have high levels of sodium and to remain healthy they should be replaced with fruits, vegetables and whole-grain foods. • 90% of diabetes cases are Type 2 diabetes while 10% are Type 1 diabetes. • Type 2 diabetes may be controlled by taking a healthy diet, exercising and also monitoring blood sugar levels. • Obese people are at a higher risk of getting Type 2 diabetes unlike people with lower weight because their bodies release chemicals that may destabilize the metabolic and cardiovascular systems in the body. • Certain seasonings like pepper, garlic, cinnamon, lemon and curry can be used to replace salt. Through exercising, taking a balanced diet, not smoking, not drinking, and taking vitamins and fiber you can reduce your risk of diabetes type 2. You can apply for the European Heath Insurance Card for free and get treated free of charge or at a reduced cost. Make your health your major priority. Conquering diabetes can never be easier.